Hocoma’s robotic equipment allows our patients to participate in continuous repetitive motions that help foster neuroplasticity, improve function, and quality of life. 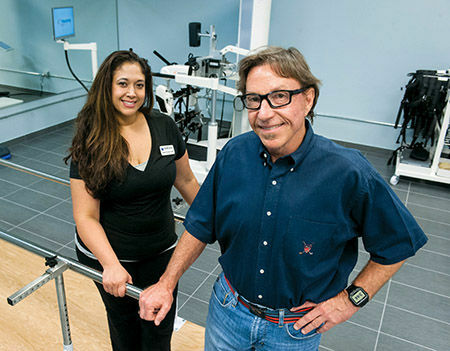 It allows our therapists to ensure proper mechanics, ROM, strengthening, and endurance building. These products help keep our patients engaged and stimulated and has opened up a whole new world of recovery and hope for our clientele. Most of our patients have neurological deficits. Currently we treat patients as young as 2 all the way up to 91 years old, but we accept practically all ages at the clinic. Commonly treated pathologies in the adult population at Neurological Recovery Center (NRC) are: SCI, TBI, and stroke; less common pathologies treated include MS, among others. For pediatric patients, Cerebral Palsy is a common diagno-sis, although recently we have had cases of children with other developmental delays and Rett syndrome. Most patients have seen or heard about our use of technol-ogy through social media or local media coverage; because of this reason they come into the clinic expecting to use such technology in their therapy, especially the Lokomat. We try to comply and include technology in their therapy as long as there are no contraindications as outlined by Ho-coma. For our more acute patients who have blood pressure is-sues we begin on the Erigo. Once they can tolerate upright activity for more than 20 minutes we move on to more in-volved devices like the Lokomat. Andago is one of our favorite devices. We use it for standing balance and core stability. It is a great tool for evaluation as well: sit to stand, hip extension, etc. After these tests, we walk with them if it is within their capabilities. In the case of the Armeo devices, barring any contraindica-tions, we encourage our patients to start on the ArmeoSpring to assess their abilities on their own. From this first approach, we decide whether they should continue with the ArmeoSpring or the ArmeoPower. sessions are the distance the patient has to travel—some patients drive for hours for the robotic therapy our clinic offers – and the financial situation of the families. Some patients just come once or twice a month for “maintenance”. Each session lasts anywhere from 1 to 2 hours. Usually the 2-hour sessions are for patients who drive a long way to come see us. We incorporate at least one Hocoma device in each therapy session, depending on the patient’s therapy goals. A typical patient evaluation takes 2 hours. In our experience, most patients come to our facility to talk about our technology and the possibility of using it. During the initial assessment, we valuate what type of technology they would be candidates for, and provide an overview of realistic expectations for treatment and outcomes. Trying out the devices the patient may use during evaluation also allows us to gather information on fitting and set-up to ensure that the therapy time is used efficiently from day one. Progression evaluations are done after 10 visits or 30 days, whichever comes first, after initial evaluation. Additionally, every 8 weeks we evaluate the progress made on the goals that were defined for each patient. Based on this evaluation, new goals are set and sent to the treating physician for the approval of additional therapy sessions. We want to be a place of hope for our patients and provide the highest level of care there is. Robotic technology allows our therapists to do continuous intensive therapies without the associated physical strain. This also enables us to incorporate new factors into the therapy since the devices are providing the support to the patient during his/her therapy session. Correct pattern for each movement. Allowing our therapists to focus on the patient. Data collection which helps us to determine what areas we and the patients need to work on. The use of technology has truly been a game-changer in how we provide treatment to our patients every day. Traditional therapy techniques as needed. Basic therapy equipment such as therabands, working on mats, etc. VR Studio with Oculus system. We are developing our virtual reality applications to work with technology we own, such as Lokomat and Armeo. Hippotherapy Equine Center (coming soon). Every person on our team is trained to use most of the equipment used in the clinic. We also incorporate students in our team and we train them to use all of our devices. Students work with us under the supervision of a certified therapist. Our clinical director has the most experience with the application of our therapeutic devices. She relays therapy parameters and plans therapy progression. 3 technicians for the afternoon shift. We are also working on a Non-Profit VA Center for military veterans and service members. There are patients who cover the cost of their therapy out of pocket, and we also work with different insurances including state, private, and military. Robotic therapy does not have a separate billing code, but we try to incorporate it into our billing system to make it convenient for our patients. We offer a 10-visit package which includes robotics at a flat rate that also covers conventional therapy. After the first 10 visits, there is an additional cost for including robotics in the therapy plan. We charge by the hour and Bruce Conti, the owner, really wants to help the community so we offer discounts when needed, or facilitate as much as we can so that we can reduce the monetary roadblocks a patient may have to continue with his/her therapy. The Neurological Recovery Center is a unique PT practice whose professionals are dedicated to serving a clientele seeking the highest level of personalized one-on-one care. 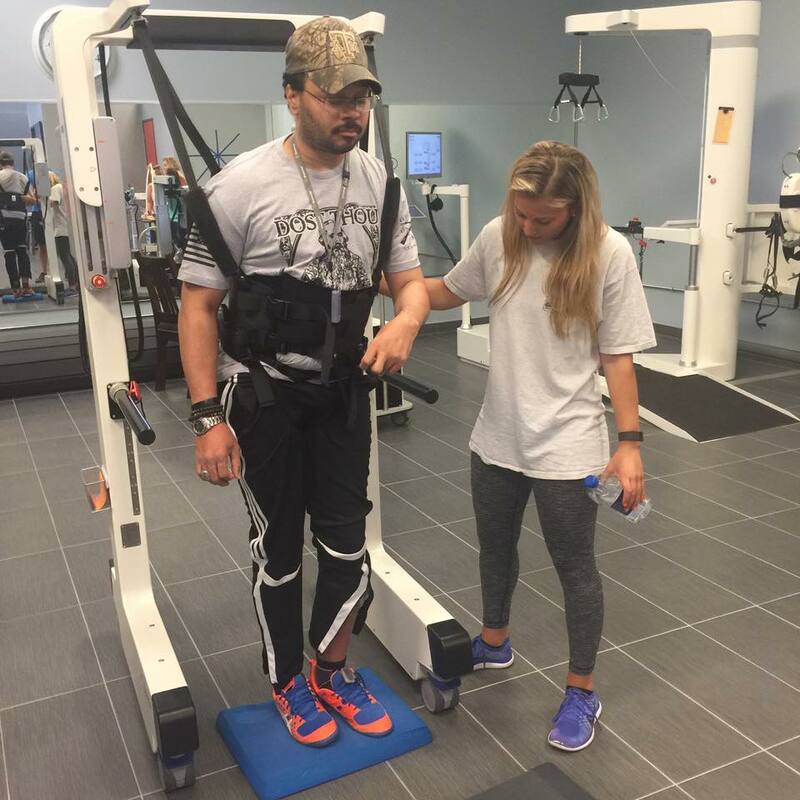 We have some of the most advanced robotics systems for intensive gait therapy as well us upper extremity functional rehabilitation. Through our customized clinical process, we seek to identify individual needs, evaluate functional deficits and deliver the highest standards of care to help patients achieve their goals. 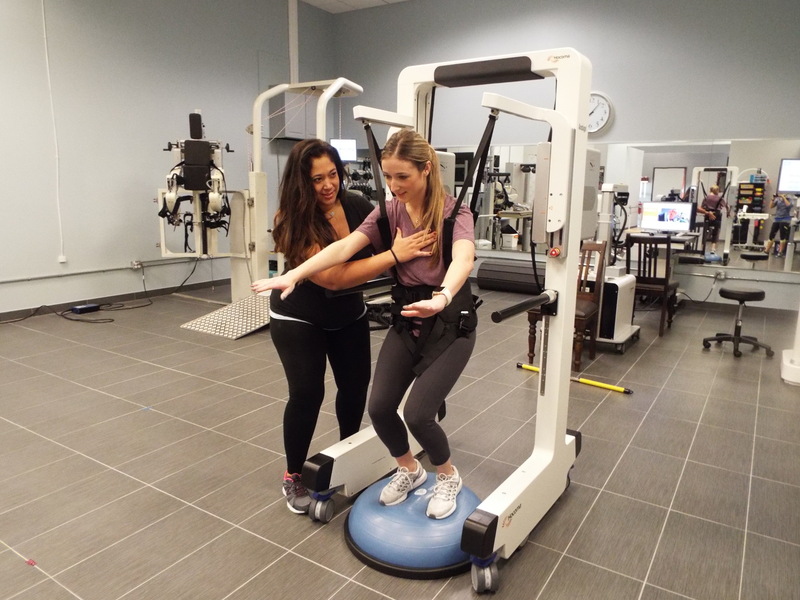 This clinical experience report is meant to serve as an example of how the Erigo, Lokomat, Andago, and ArmeoSpring are integrated into an ambulatory rehabilitation setting in an outpatient clinic. It is not necessarily a standard recommendation from Hocoma.